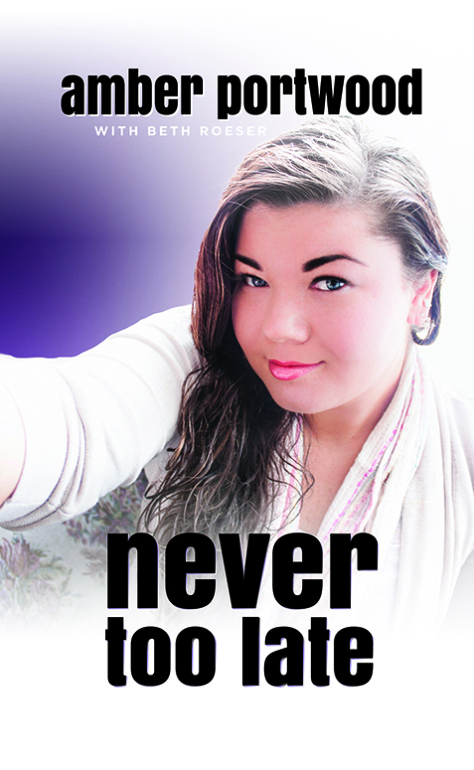 Amber Portwood’s Book Available Now! Take a Peek Inside! ‘Teen Mom’ star Amber Portwood has released her tell all memoir about life leading up to seventeen months in prison. Read about her struggles with addiction and how she turned her life around in her new book: “Never Too Late,” available now on Amazon.com. “You remember when the bell rang on the last day of school before summer vacation? That explosion of freedom you felt? If you could multiply that by a million, you still wouldn’t be close to the joy of walking out of prison after seventeen months of being locked inside. Seventeen months. I was twenty-three years old and I’d been in prison for seventeen months. Other people my age were getting used to life after college, hanging out with friends, finding jobs, and building their futures. And here I was, Amber Portwood, age twenty-three, a single mom, recovering drug addict, and MTV reality star, walking out of freakin’ prison after serving seventeen months. How does a regular girl end up in a situation like that? Or had I ever been regular? How did I get so far away from the kind of life I meant to have? What was going through my head when I made the mistakes that brought me here? Hi Amber i like your booked , nd I am your big fan.. I know you where showing love to daughter but now you know that you not go back to old ways because you dont want to leave your daugther, and your daughter so cute.. Its like showing dont do things you have done because it will go the worng way or mess up your life.. I have a daughter who is 1 year and with my boyfriend and its hard but we works things out together.. I am saying i am happy for you what you have gone though, nd being strong =).. Well i hope i get to talk to you later message me lol.. Okay laterz! !